Before I go any further I would like to share, in full, Edgar Allan Poe’s best poem, first published way back in January of 1845. Please, if you are able, and if you have have never before encountered this poem, read it aloud, or, better yet, get someone else to read it aloud to you. Or listen to “The Raven” read by Basil Rathbone. Poe must have sat down and written the whole poem in a burst of inspiration because how else could something so beautiful have been created, right? Wrong. Poe carefully and methodically wrote this poem, first deciding on a refrain, narrowing it down to a single word, and then deciding on “Nevermore” as the word that would work best but he almost went on a radically different path from the one he took in writing his poem. I did not fail to perceive, in short, that the difficulty lay in the reconciliation of this monotony with the exercise of reason on the part of the creature repeating the word. 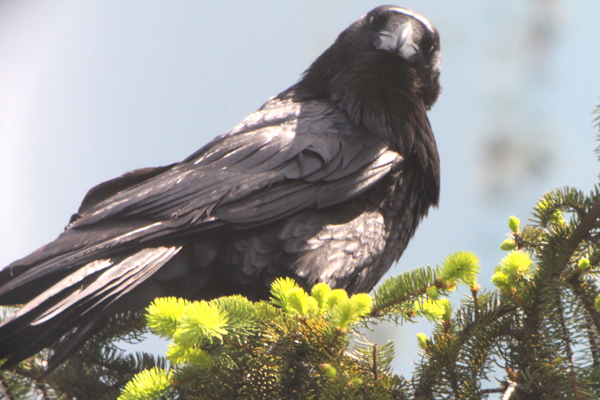 Here, then, immediately arose the idea of a non-reasoning creature capable of speech, and very naturally, a parrot, in the first instance, suggested itself, but was superseded forthwith by a Raven as equally capable of speech, and infinitely more in keeping with the intended tone. The loss of a lover is thus the best possible way to express beauty through poetry which might explain why the romantic poets remain perpetually popular and also why teenage goths so often fail to fall for prose while professing a preference for poetry. 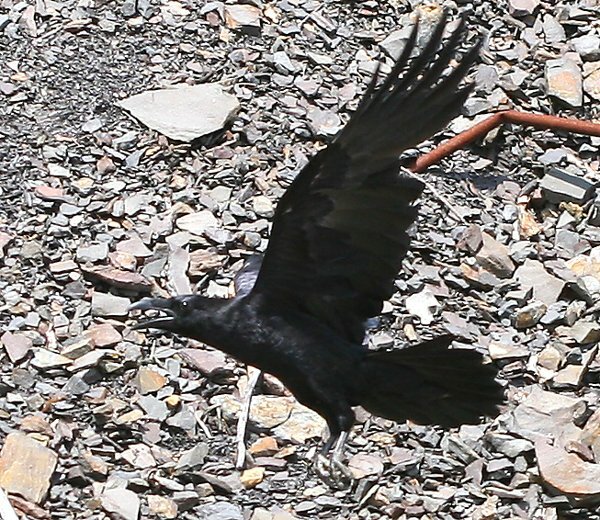 “The Raven” is therefore, if one uses Poe’s own measuring stick, a nearly perfect poem. That it is still one of the most anthologized poems is testament not to sudden inspiration but to dogged determination and careful, thoughtful writing. Bird bloggers, like anyone else who use the written word, could learn a thing or two from Edgar Allan Poe. 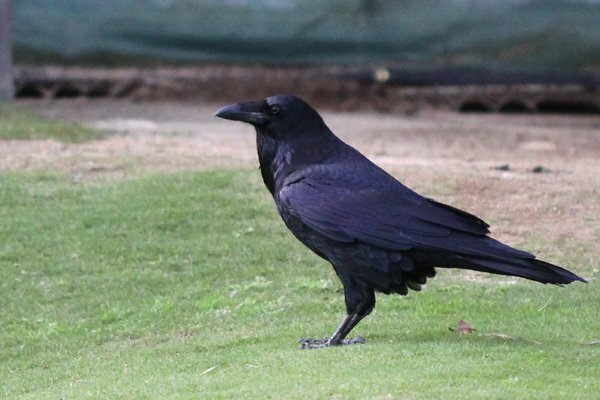 In my humble, yet universally acceptable and irrefutable opinion (yes, I am serious…), the German original of Goethe’s “Faust” and Poe’s “Raven” are the quintessential apex of language. It sometimes seems as if language went through eons of slow evolution with the sole intention of culminating in these two compositions (does this statement make me a creationist?). Everything else just fades into the background, with the possible exception of “Something in the Mermaid Way”. And I disagree with you on one thing: The Raven should never be read aloud. It should either be heard read aloud by a skilled narrator, or should be sung silently within, for it is music as much as it is poetry. One of my favourite definitions of a poet is “someone who can write down what most people can only feel”. In as much, I don’t think that there is such a thing as a perfect poem, only perfect poems for a moment. 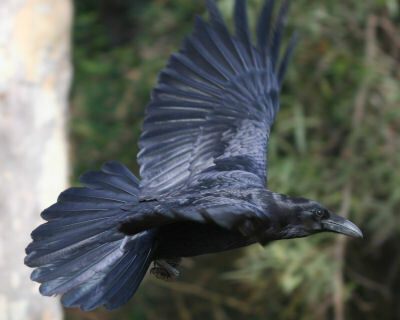 The Raven is one of my favourite poems, and like you I like my poetry spoken. I’ll disagree with Jochen (although only moderately), while it is great to listen to the Raven by a skilled orator, it can give people great pleasure to “sing” it themselves out loud (to carry on with his music analogy). Others may not like my rendition, but I greatly enjoy it, and that is the point. Clare, I’m with you on the pleasure of narrating this perfect poem aloud. I can only compare the exhilaration of speaking in this meter to that of reading some of Dr. Seuss’ best work (e.g. Fox in Socks, Cat in the Hat) out loud. Jochen, how serendipitous that we served up works by your two favorite poets in the span of days. Clearly, the karmic wheel spins in your favor! 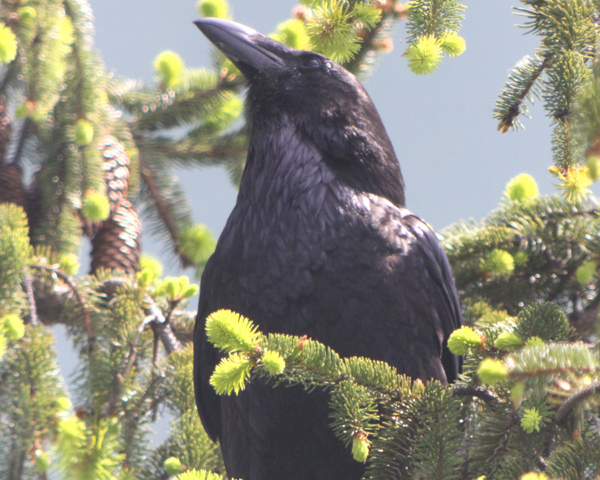 I love your piece on Poe as a birder; is that poem authentic? It’s an authentic poem by Poe, I simply changed a few words here and there (not just the last line about the Prothonotary). And it – the wheel of karma – definitely does, as it has wheeled a Black Stork my way (see best bird of the weekend). That is seriously good bird stuff. The significance and brilliance of The Raven completely evaded me the first time I read it. Your post and the website Shmoop have really helped me understand this poem better, so thank you for sharing?. Poe’s description of the raven is very interesting to me; while the bird represents darkness, despair, loss, sorrow, it is simultaneously beautiful, regal, in his eyes. This really illustrates what he says in his essay about sadness, melancholy being beautiful emotions, especially when expressed as poetry. How long did it take to write this great poem?